I received Delush Polish Slice is Life Collection in the mini size bottles to swatch and review, which was a tribute to the TV show Dexter. The glitter filled nail polishes perfect descriptions of serial killer Dexter Morgan. 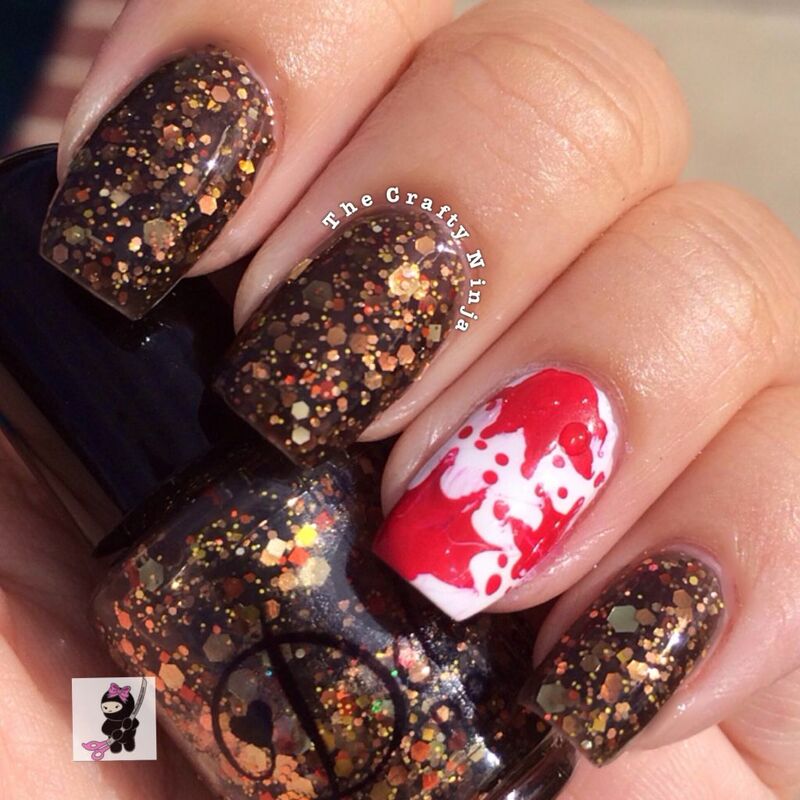 The nail polishes are gorgeous and love the creativity behind the indie polish maker Adrianna. Don’t forget to check out Delush Polish! 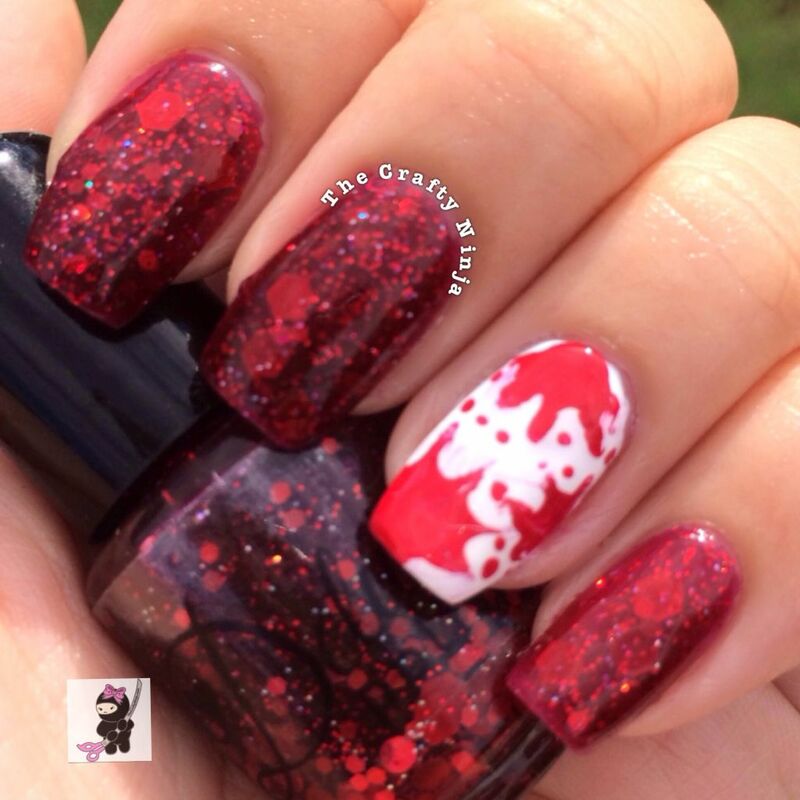 Born in Blood is a deep blood red jelly with various sized holographic red glitters. This was the one I was drawn to first because I’m obsessed with Dexter, which is my first dogs name who is also named after the show. I couldn’t get all the large circular glitters but this polish has plenty of glitter to represent a horrifying bloody red. I can image the scene where baby Dexter is laying in a pool of his mother’s blood, very gruesome! A Very Neat Monster is a black jelly with different size and colors of green, neon green glitters, and large holographic dots. I love the name and the glitters inside this nail polish. The large holographic circular glitters were a bit hard to get out but I love this type of glitter because its so unique. This indie polish was my favorite for the collection because it fun, and the glitter combination is awesome! 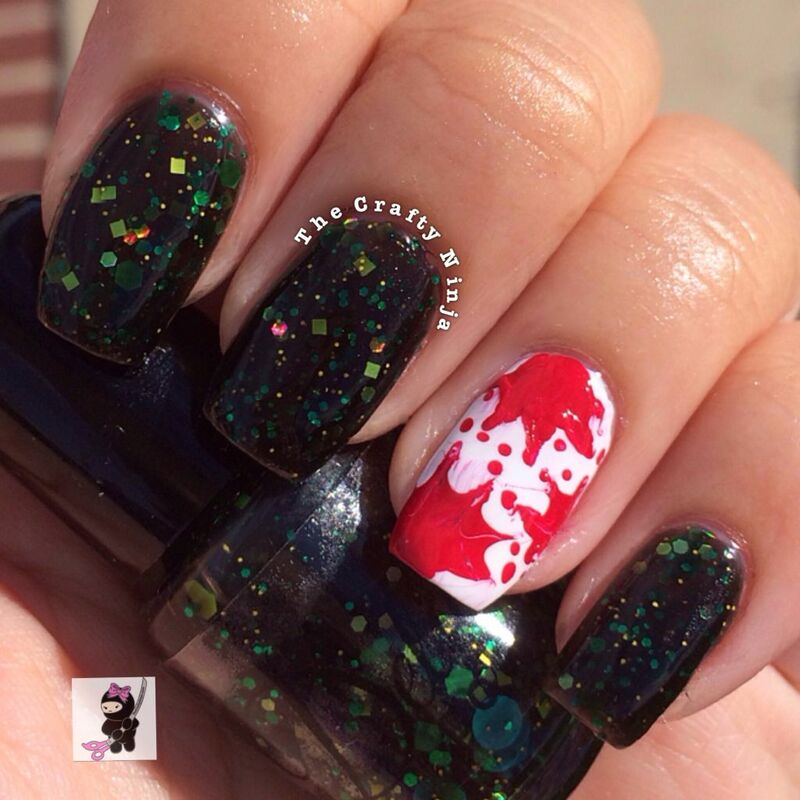 The contrast between the black jelly base and green glitters is very monsteriffic! Dexter was a very neat monster because he had a routine and was very OCD about his kill room. A monster indeed but only towards evil. 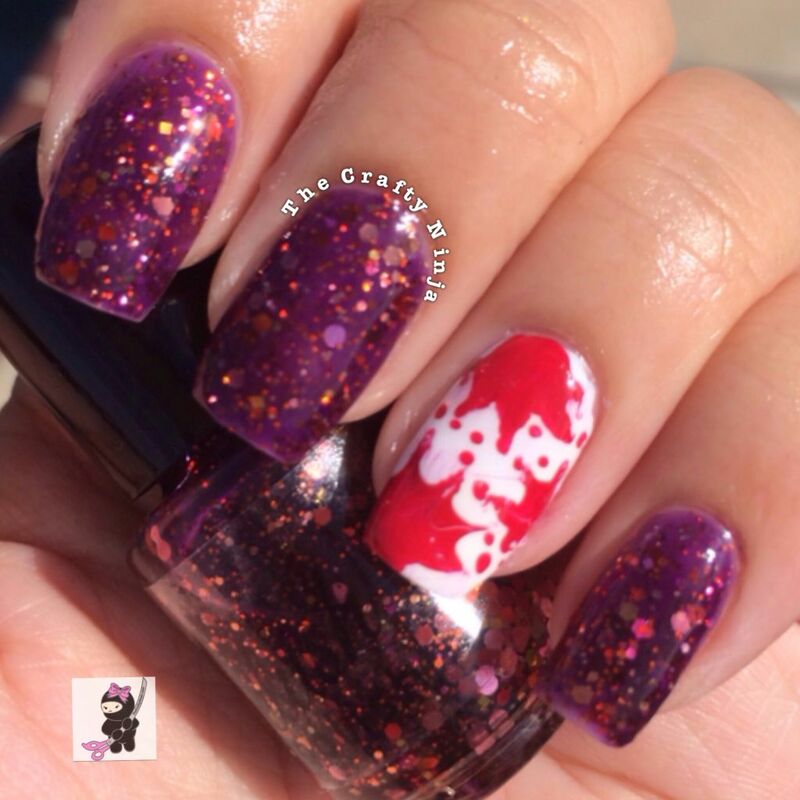 Time to Kill is a deep plum jelly with glitters in pops of red, orange, copper, and pink dots. To swatch I tried the dabbing technique which worked better to get out the glitters. I really love the color combination of the jelly and glitters. The dark passenger inside that drove Dexter to kill. Master of Disguise is a deep chocolate jelly with specks of orange, gold, and copper glitters. This is perfect for fall, all the colors remind me of a Thanksgiving fest. Surprisingly I really loved this swatch on my fingers better than I did in the bottle. So much sparkle! Dexter was perfect at disguising himself as a serial killer: a family man, loving father to his son Harrison, and a Forensic analysts for the Miami Police force. No wonder why he got way with murder. This perfectly describes the last scene of the finale where he once again has disguised himself into an ordinal man in an ordinary life.